We will try not to ruin the story for those who have not seen it! 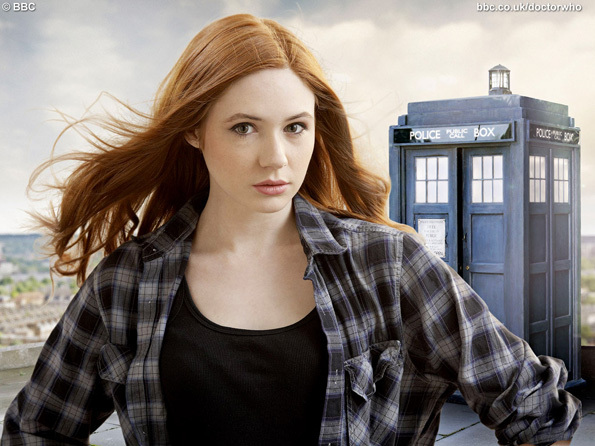 Doctor Who's Amy Pond is amazing this season! Amy, Amy, Amy- Amazing start to the new season of BBC’s Doctor Who. Amy Pond see’s a tragic event and is racked with emotional pain. Amazing acting on the part of Karen Gillan, as the tears streamed down her face, so did mine and those around me. Story unfolds further when River, Amy, and Rori have to find a way to save the good Doctor’s life sometime in the past. They find a whole other dilemma when they run across some scary looking aliens, and a little girls plea in the dark makes the whole show just a little more ominous. Unfortunately, this episode is a two parter, so we will have to wait for the conclusion. We will tell you this though- the show ends with the audience in total suspense, on the edge of their seat, and wanting more!